At the cost of trying to please a client, there have been times to where I delivered a preview of my finished work and allowed myself to be at the mercy of their opinion. I showed the finished product in by emailing it to the client, but I failed to provide the proper explanation of why and how I arrived at the finished product. 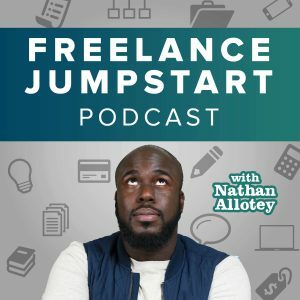 If you are a creative, and you create copywriting, websites, graphic design, videos, T-shirts, logos or any other creative work stand up for your work. If you send a client an email letting them know to look at an attachment which is a preview of the deliverable you are doing yourself a disservice. Your client has no context on what you have created, and you will be at the mercy of their opinion. When it comes to things such as copywriting or design feedback is very subjective, meaning that people’s feelings, tastes or opinions will determine their perception of what you’ve delivered. Whenever you are showcasing or previewing your work with a client, always take the opportunity to provide context, explain your creative decisions and how you arrived at the current state of the project. If you are unable to schedule a time to walk your client through your creative decisions, then set up a screencast with a voiceover to explain the choices you made. Upload the screencast as an unlisted youtube video and send a link to the client. If you have an Apple computer, you can use something like QuickTime to record the screencast and explain your design decisions. If you’re on a Windows computer, then you can use something like screencast-o-matic to display and talk through your decisions. If you’re unable to do a video, write out an email with bullet points explaining design decisions. This provides context as well. You need to speak up about your work so that you can eliminate assumptions. When you don’t speak up for your work, then people will assume the wrong meaning of your intentions. The reasoning behind your creative decisions may be way deeper than their assumptions, but if you never speak up many assumptions will be made. I recently made a graphic called the battle for a generation. The graphic shows a younger man on the left and older gentleman on the right. 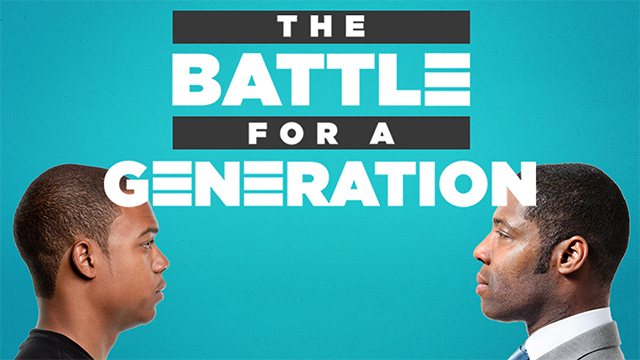 The graphic is supposed to be representative of the battle between the younger and older generation. At first, glance without any context, assumptions about what I did can be made. What do you think the image means? Look at the letter E in the graphic. I didn’t create the three lines to be cool. The lines hold meaning, and if you don’t hear the explanation, you’ll just make an assumption based on aesthetics alone. In the realm of mathematics and logic, the triple bar sign means that two items on either side of this symbol are relatively equal and can substitute for one another. Ultimately, what I’m saying in this graphic is each generation tries to define their own meaning of society, but the previous generation did the same thing. Instead of being contrary to one another each generation is more similar than they think, it’s just different surroundings. You will never get a deeper level of understanding when glancing at the graphic because if you have no idea what the triple bar means then you can only assume. In the past, I fell into the trap of always trying to please the client. The client is always right and whatever they say goes. This type of thinking is bad for the project. You as a creative have something of value to offer even if that value is creative direction. If you believe what you’ve created is the best, and the client wants to change it, speak up. It’s okay to disagree and say, I hear you, and I understand your preferences, however, I don’t agree I think what I have laid out is the best route for these reasons. Don’t assume that a disagreement will cause a conflict between you and the client. You’re having a conversation and you need to create an environment to exchange ideas freely, but you as a professional also need to lead the way and remind them you made creative decisions to reach their goals. This is probably the most important thing when working with clients and getting feedback from them. When you’re speaking up for your work, walk them through how your solution matches their business goals. They may not be able to see how every decision you made answers a request they had so spell it out for them plainly. I would even venture to say write out all of their business goals in a bullet point type list and then under each bullet point write a sentence or two about how what you’ve done directly answer is what they’ve asked for. This method it clearly shows you put some thought into your work, and you wanted to make sure they met their goals and if there’s any disagreement from here their new suggestion have to answer the same request unless they’ve come up with a new request which is something that’s brand-new. Ultimately, do not put your creative work out there publicly without speaking up, providing some insight into your creative process, and how you arrived at a result. Otherwise, you’re subjecting yourself to people’s opinions. Everyone has an opinion, but not everyone has and a creative opinion that will impact your project positively.